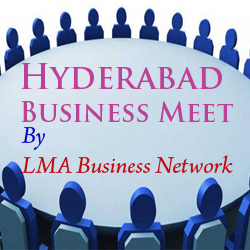 The meet is for Business Development and Leadership skills and Public Speaking development. It’s a win-win platform. I promote your business and you promote my business. As if you have 25 salesmen to promote your business in a systematic way. You are requested to invite your friends who are into Business. You can't ask business from your friends or relative directly due to fear of embarrassment from them, but you can always invite your business friends in the Business meetup to share about their business to our group. As every member invite their known business owner and they get an opportunity to share about their business also. In the first half of the meeting there will be training on Public Speaking & presentation skills and 2nd half of the meeting all members are asked to make presentation about their product and services.